Ark’s third DLC, Extinction, is finally here! It was announced a few months ago, during the summer, for November 6th. Studio Wildcard kept to that date, however it was supposed to be released in the morning and got delayed until late evening/early night time. It feels really good that the wait is finally over. 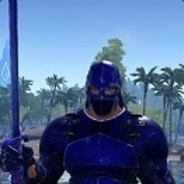 Now I only wonder what’s next for Studio Wildcard. Does Ark have a future after Extinction? Who knows, but this is supposed to be the last DLC for the game included in the season pass. What a long journey it has been since Ark was released in Early Access. I’ve been there since near the beginning and I’ve been able to watch and experience the game grow so much! It has become my favorite game, which I’ve clocked over 2800 hours! Before release, Studio Wildcard gave us some teasers including creature reveals and a trailer. They also created Tek versions of some creatures already in the game. These rare Tek versions are now a permanent part of the game. They also gave us some more explorer notes to find. One of the most significant pieces of the first trailer showed a huge creature known as a titan. There are apparently multiple of them in this DLC. They can be tamed or defeated, but after being tamed, they will despawn after some time. This mechanic is similar to the titanosaur, which is now dwarfed by titans. More information was revealed during this year’s Extra Life charity stream in which Wildcard raised about $70,000 to benefit the Children’s Miracle Network. They revealed more about the ice titan we saw in the trailer. They also showed off new orbital supply drops, which land on the map and start a process of waves of corrupted creatures coming to destroy it. There are a few difficulties for these with the harder ones giving better loot. Once all the waves are defeated, a player can open it up and receive lots of goodies. Another interesting mechanic is something like a Pokeball in which you can store your creatures. This helps servers deal with a limited number of creatures, which is set to improve server stability. You can put a creature in a cryopod and release it by throwing it. You can store these cryopods in a refrigerator, especially one created just for this purpose. Taxidermy has been introduced. You can kill a creature and use a special tool on it to collect it’s dermis. Then you can stick that on a taxidermy display table. There are a few sizes of these tables and creatures are scaled to fit on them. You can select one of many poses that the creature has. It’s an interesting concept. Along with the Tek creatures released for the game, including a Tek raptor, stegosaurus, parasaur, and quetzal, two new Tek creatures are in the game. One is called an enforcer and can teleport. The other is pretty much an observer. You can acquire blueprints to build these two by killing them and then crafting them in a particular crafting station. The DLC is also full of a variety of biomes, but the entire map is of Earth. This DLC is the “beginning and end” of the whole Ark story. There is an abandoned city on the map, which is the recommended spawn area for players. Other biomes can be found including an icy one encircled within a dome. This is what is called a proto-Ark. It’s all very interesting and I’m excited to dive into Ark once again! Who knows what the future holds for the game and Studio Wildcard, but the game has been released for current gen consoles, the Xbox One and PS4. It has also been announced for the Switch. Console Ark players are going to have to wait for the release of Extinction while Studio Wildcard works on that version some more to get it better suited to console gaming. The new update for No Man's Sky has a launch trailer. The Abyss adds many underwater things including better visuals, more creatures, sunken treasure, the ability to build underwater, and the ability to use your jetpack underwater. I'm mostly glad that they made it so we can use our jetpack underwater. I've always felt that swimming in NMS wasn't so great. So, this update seems pretty cool, check out the embedded trailer for many more details. I was just coming here to post this. They are really pushing major updates lately, and they still say this is only the beginning. I can't wait to see what's coming. Beat ya to it LOL! I made news of it in the chat, was going to add it onto your old update post, but then decided to just post it. Yeah, apparently the game is getting some kind of weekly updates. These major ones aren't the weekly ones. They did say there's more to come. I, too, wonder what that could be. "The chat"? Oh! The CG Steam chat? I haven't gotten any notifications for that in ages. The weekly updates are ok, very brief quests. Yeah the Steam chat. I post news there sometimes, usually about free games to grab. I think it's the perfect place to share that kind of stuff. Awesome! I haven't played in a while. I was doing a mission that required me to collect a certain mineral to increase my standing with one of the factions. I'm really glad they fixed the swimming thing, I hated swimming before. Thanks for the input! If you’ve played The Witcher 3: Wild Hunt, you may be familiar with its mini-game called Gwent. Gwent is a card game played by various NPCs in the game. However, you no longer need to play The Witcher 3 in order to play Gwent as it is now it’s own free-to-play game. Gwent is a simple card game where most cards have values and the one who has the highest strength value on the board at the end of a round wins. There are three rounds. You can pass if you decide your strength value is high enough, saving some of your cards for the next round. This is sometimes a good strategy to use. Some cards also have abilities which can be helpful and there are cards that only have abilities. Thronebreaker is actually more like story mode Gwent. You walk around on a map as a queen. You run into various things on the map such as resources, which can be used to upgrade your camp. Your camp has a few different buildings and some of what you can build makes available new cards that you can create. All combat in the game is actually a Gwent match. There are also puzzles you can find where you may have a limited amount of rounds to play, limited deck, and must complete the puzzle a certain way in order to win. Puzzles seem to have their own level of difficulty. One beautiful thing about matches is that if you’re playing on the easiest difficulty and lose, you can choose to skip the battle. This completes the match as though you won. This applies to all matches, including puzzles. I’m not sure how I found out about Thronebreaker, but I watched a video about it on IGN. The person said this was a game that reminded him why he got into gaming in the first place. IGN also gave the game a very high score, 90+ out of 100 I believe. I don’t know that I think of it as highly as that reviewer, but it’s still a good game. The story is interesting and the characters are cool. If you’d like to play Thronebreaker, you’ll need to hop on over to GOG to buy it as this game is not available on Steam. There you will also find Gwent, which you can get for free. One cool thing is that even owning Thronebreaker unlocks cards that can be used in Gwent. You can also unlock other cards while playing the game. I think it’s pretty neat, especially since it seems that getting an achievement in the game always unlocks cards for Gwent. If you like CCGs, check out Gwent, since it’s free. If you like what you see then I’d recommend getting Thronebreaker. We no longer have to imagine a world where Final Fantasy meets Disney, that of course is Kingdom Hearts. But there’s a new FF blend, it’s like FF meets Pokemon and it’s interesting. I’ve had this on my wish list and it recently became a $20 game (50% off), so I picked it up. And, even though it’s quite different from Kingdom Hearts, it still reminds me of Kingdom Hearts. In World of Final Fantasy, you wake up (late as always) and find yourself as a twin of mirage keepers. Mirages are basically monsters and you can catch them, much like Pokemon. However this isn’t a game where you have monsters fighting monsters, it’s a bit more complicated than that. Instead you stack them on your head. There are also two sizes that the main characters can be, called Lilikins (for small) and Jiants (for large). Lilikins can have a mirage on top of their head, but they may be able to actually ride a large mirage. As a Jiant, you can have two mirages stacked on your head. Each mirage has a size, which can change as it….”evolves.” There are small, medium, and large mirages. Small ones get stacked on top of medium ones, while large ones are ones that you stack yourself on top of. There are a number of unique mirages, many of them familiar monsters within the world of Final Fantasy, such as chocobos and cactaurs. Each mirage has it’s own way of what you need to do to capture it, such as use physical attacks, magic, or give it a status ailment. You can find out how to get the mirage into capture mode by using Libra on it. Libra can also tell you the mirages elemental resistances. Each element has it’s own weakness and strength and it goes something like this; fire is strong against ice, but weak against water. Ice is strong against wind, which is strong against earth, which is strong against thunder, which is strong against water. Dark and light seem to be strong against each other. So, it’s not quite set up like Pokemon, but it is kind of similar. The reason capturing mirages is so important is because mirages have abilities (like Cure) and stats. You make yourself more powerful by stacking a mirage (or two). Areas in the game seem to have similar mirages with similar and expected strengths and weaknesses. For instance, in a fire place you can expect to find fire based mirages like the Bomb. The game does a pretty decent job of telling you how to go about capturing mirages and how to stack them to receive their benefits. It also explains that, for instance, if you have two mirages stacked that have the ability of Fire, it will in turn give you the upgraded spell, Fira. You are limited to how many mirages you can keep with you. The rest go in a special storage area that easily accessible at save points. One thing that makes this game a bit more enticing for current fans of Final Fantasy is that it contains areas and characters in Final Fantasy games. For instance, I met up with Tifa who lead me to Nifelheim, but there are others! The PC version is kind of confusing in a way I’m going to explain now. When I first started the game, it was in windowed mode, which I didn’t like. I went into the options/settings menu, but didn’t see anything to change it. However, there’s a small configuration tool you can select after clicking on the “play” button on Steam. Here you can chose to configure it or jump in the game. This still doesn’t add very much configuration, but you can change to full screen and a different resolution. It’s actually simple, it’s just a bit buried. Another interesting thing is that I wanted to play with a controller. I have an Xbox 360 controller I use for PC gaming. At first it was kind of difficult because the game was telling me which keys to press instead of which buttons. Then, I noticed in the options menu that you can select which input device is shown in how to do things. I thought this was cool, even though it didn’t auto detect. The Best Dragon Quest Yet? Dragon Quest XI: Echoes of an Elusive Age was recently released. I saw a commercial for it and read a review (that contained a few reviews) and decided to pre-order it. The pre-order bonuses looked nice, I got accessories that restore HP and MP each turn for the character that has them equipped. It seems different stores had different pre-order bonuses, but I’m happy with what I got on Steam. This is a $60 game, which can be a bit of a turn off, but after some time playing it, I feel like it’s pretty much worth it. Dragon Quest is a series of RPGs by Square Enix. One of the unique parts of it is that the characters were designed by the creator of the Dragon Ball series, Akira Toriyama. If you’ve seen any of the Dragon Ball series, you’ll definitely notice how Dragon Quest looks similar. My experience with the DQ series is very little. I have DQVIII for the PS2, which I enjoyed. So, getting back into a DQ game is pretty interesting, because I can see things that are still in the series, such as familiar monsters. Both games are turn-based RPGs and remind me a lot of Final Fantasy games. So, if you’re a fan of Final Fantasy, you’ll probably be a fan of Dragon Quest. Many of the reviews I read before the release of DQXI gave the game a high score, such as a 9 out of 10 or similar. This is something I can agree with even after only playing the game for 8 hours. Not all the reviews gave it such a great score, after all the game doesn’t quite bring a whole lot new to the series. Instead it sticks to what’s been done successfully with previous games in the series. After all, if something isn’t broken, why fix it, right? Perhaps the biggest changes include the cast of characters, story, and how it looks. This game looks beautiful! While I agree with a high score for this game there are a few minor things that make me hesitate to give it that perfect score. Mostly, there are things I wish the game told me, things I some how figured out on my own. For instance, I can hit the X button on my Xbox 360 controller (that I use for PC gaming) and I get to see a map of where I’m at. This is very helpful, but the game never told me about that. Perhaps it did tell me, but I didn’t see it. There are things it tells you while it’s loading your saved game, but it loads so quickly that I hardly get to read any of it at all. I wish they would have inserted a pause so you could read those tips. One other thing was that I had to use Google to figure out how to access the pre-order bonuses (DLC) that I got. Luckily, I found the answer, but I wish I had known that at the beginning. The game does have a bunch of information in it’s menu, under “Misc.” that can tell you a lot of what you need to know about the game. I didn’t look too deep into this, which may be why I missed out on some of these things. One thing that impressed me was that the game didn’t require any configuration at all. I can only assume that it detected my hardware and realized it could max out all it’s settings. It even turned Vsync on by default. The game also has two camera modes for when you’re in a battle. One is called “free-form” and you can move around. There’s a circle for the battle and you can try to escape by stepping outside that circle. My problem with this (default) camera mode was that I was centered on the main character and other characters were off camera. I decided to change the camera mode to the next one and I think I like it better, it’s just taking some time to get used to. You get to see each character as they attack or get attacked, it’s definitely better. Where as before when another character got hit, I didn’t see how much damage was done, unless I noticed how much depleted from their HP gauge. I don’t know that you can escape battle as easily with this other camera mode, but I don’t find the need to do so. You can, after all, select “flee” from the menu. One thing that sets this game series apart from most Final Fantasy games is that there aren’t random encounters. Meaning, you don’t have to walk around and worry about suddenly getting attacked by some random invisible enemy. Instead, you can clearly see monsters walking around. If you want to avoid them, you can do so easily enough, there’s plenty of walking space. If you want to attack a monster you can either walk into it or you can get close enough and attack it preemptively. At first, I felt a bit overwhelmed with how many monsters were roaming around, so I avoided most of them. I was after all just beginning and didn’t want to die too easily. However, I decided against doing so and since I’ve attacked almost every monster I’ve seen, I’ve become a lot stronger and richer (since you’re awarded gold and XP upon victory). Still, that option is there, which is nice. There’s not much I can say about the story since I’ve only played for 8 hours, but it seems pretty good. I was surprised by an early twist I wasn’t expecting the story to take. One thing I like is that other party members act on their own. You can select the party’s tactics, which tells them what they should be doing, healing, attacking, conserving MP, etc. I now have 4 party members and they’re pretty useful. So far the game seems really good, I like it. I’m hoping there are plenty of gaming hours left. If you ever thought it’d be cool to create your own Jurassic Park (or World), then the time for you has come! Jurassic World Evolution is pretty much a Jurassic Park/Wold simulation game that was recently released and seems pretty popular (especially on YouTube). It’s an interesting game and I’ve played some of it, so I thought I’d share it with you. You’ll start off on one of a few different islands (not Isla Nublar, which you unlock later). You’ll have a basic structure going on, such as a large pen already built. You’ll still need a few other buildings, but you can purchase them whenever you can afford them. The starting layout is pretty good, but there’s more room for you to grow your park. You’ll also start out with a few million dollars to buy new buildings or get started on dinosaur incubation. You won’t have all (48 I think) dinos unlocked right away, but I think you’ll have at least one “viable” genome with which you can incubate into a dino. You won’t be able to incubate a dino until you have enough DNA, which you get by doing expeditions. This part of the game is pretty simple. You’ll see an expedition map, which contains real-life expedition sites that actually exist. You’ll click on one to send your team to (for a price) and they will come back with fossils after a few minutes. You then have to analyze fossils in order to get more DNA for whatever dino you’re working on. You’re going to want to constantly send out expedition teams to gather more fossils, so that you can incubate more dinos. Obtaining more of the dinos genome means you’ll have more success when incubating a dino. I believe 50% is “viable.” Also, with a full genome, you can modify each creature, giving them extra stats like disease resistance, better rating, or a new skin. Personally, I’m very fond of the rain forest skin, which gives dinos a bit of blue. The park has a variety of needs. Each building requires power and a path. Each building also has it’s own utility. The Asset Containment Unit uses helicopters to tranquilize, move, or sell dinos. You’ll also have a Ranger station which uses jeeps to repair structures or resupply feeders. You can drive them yourself, which you may want to do at some time. It also can heal dinos and allow you to take pictures. Guests have other needs such as shopping, food, fun, and security. You can increase these with an appropriate building. Hotels will increase how many guests you can have. There are also shelters you can place to give your guests some where to go when an emergency happens such as a bad storm or a loose dino. Satisfying all of these needs will earn you ratings on that specific island. In order to unlock further islands you will need to get a three star rating for the island you’re on. Each island is a bit unique. Isla Nublar is pretty much the “creative mode” island, where you have unlimited funds and can pretty much do whatever you like. Another island has a problem with frequent storms, including tornadoes that can severely damage structures or even fences. Dinos also have their own needs such as food, water, grassland, forest, social, and population to name a few. If these needs are met, the dino will be comfortable, if they get uncomfortable then they start to break fences and escape their enclosure. This is definitely a problem as herbivores can stampede and trample guests, while carnivores will eat guests (and you can watch this happen). If they break out of an enclosure, you’ll have to use a Ranger team to repair the fence and an ACU unit (helicopter) to tranquilize and move them back into their enclosure. So, it’s very important to keep your dinos comfortable, or else there’s going to be serious problems. There are three “factions” within the game, science, entertainment, and security. You can do tasks for each of them that will increase your reputation with them. Doing so will unlock a variety of things such as dinos and buildings. They have missions on each island, but they also have contracts. Contracts are basically activities you can do that will not only increase your reputation with that faction, but also reward you with money (which you’ll need). As you play more and do more, you’ll unlock new buildings, technology, and dinos. You may wish to be careful of which dinos you put together as some of them will obviously not get along and start fighting. Or, you could just decide to see for yourself which dino would win in a fight. You could even edit their genome and make one much better than another. It’s pretty interesting. The game looks good and runs well. There are some issues you may run into. For one thing, sometimes building is difficult due to obstructions of buildings or the terrain. Also, it seems that some of the animations don’t quite work together. For instance you might see a Rex kill a Raptor, but you won’t actually see them touch, just almost touching. Hopefully this is something the developers will fix. So far, the game does have one cheap DLC that adds (I believe) 5 new dinos to the game. There was also a free update when Jurassic World Extinction was released, which added more dinos, including the Indominous Raptor. It has been speculated that the game will get aquatic and aviary dinos in the future, but so far that doesn’t seem to be guaranteed. If you like simulation games and Jurassic Park/Wold, then this game is probably for you. Hell yeah! I went to Jurassic World Extinction. I have the other movies on Blu-Ray and I just recently finished re-reading the first book. Awesome. I can't wait to see Fallen World myself! I also have all the movies on Bluray and even liked Jurassic World! JP3 is my least favorite, although I still like it. JW was apparently "divisive" as I've seen around the web. I liked it, too. I guess everything is divisive these days. Jurassic Park 2 is the worst. All others are good. Minus the latest, I have yet to see it. That's an interesting take! If someone only dislikes one of the films, it's almost always the third. You may be the only person I've heard of who cared for the third, actually. There are things that are universally loved but movies do seem ... I don't know if divisive is the right word but.. well commented on? I suppose because any yahoo can have a podcast every yahoo does. I feel that's a fair critique as I am on such yahoo. That said, people seemed to dislike it because it was too much like the original, not good enough for various small plot reasons or large plot reasons or mildly pedantic to large issues depending on your perspective. Personally I liked it because it had Dinosaurs eating people and that's what I watch Jurassic Park movies for. It was big and dumb and quite fun. I think some people didn't find the fun part. Odd thing is all the critique is valid for other movies I love so I don't get why some movies it's OK to not say it's bad and others it is? I'd say Jurassic World is just as good as Tremors or Predator and Jurassic World gets way more disdain. I think a lot of the movie criticism I can’t get behind comes from people taking something too seriously. I saw an argument shortly after TLJ. Someone giving the example of Yoda controlling the weather as an example of how TLJ doesn’t care about established lore. Like in this movie about freakin’ space wizards you guys are arguing about whether one space wizard who can come back from the dead would be able to pull a lightning bolt out of a storm cloud? That’s an insurmountable problem? Your take on Jurassic World harkens to that. It’s a film that’s meant to be fun and fantastical (in a way) sci-fi action but people take it too seriously. I guess I can see why. The first Jurassic Park was big and important. It was fun but took itself seriously. I don’t think any of them have done that since and that’s not a bad thing. > Like in this movie about freakin’ space wizards you guys are arguing about whether one space wizard who can come back from the dead would be able to pull a lightning bolt out of a storm cloud? That’s an insurmountable problem? Right, I agree. The Emperor shoots lightning from his hands yet the thing that's hard to understand is that it can come from the sky? That's the most believable part, because lighting actually comes from the sky. If the force is everywhere then all Yoda did was spark the force to do the natural weather thing, which seems canonical to me if not done before. So if many people's problems is that Star Wars does too much new stuff, then I think when everyone complained Force Awakens was a retread needs to rethink that. Sounds like it would be the best sequel ever. It did new stuff, but it's basic plot and themes were very similar. > It was fun but took itself seriously. I don’t think any of them have done that since and that’s not a bad thing. Yeah and the biggest parts where the film breaks down is in basic genetics. Like copy pasting from Frog DNA wouldn't really create Dinosaurs and if it did they'd be really strange looking. The basic premise of Jurassic Park doesn't work yet that's not what the main problem with the series is? Paper thin characters are pretty common in campy films but I think people expect each film to be Chaucer, which I think movies like Fallen Kingdom are clearly more like Mad Magazine. Also, people don't have to agree on what's good. People also don't need to be consistent, i'm not. I guess i'm just raging(not really) against the notion of some kind of art based consensus. It can exist in communities, but it's OK to think differently and we don't need to all agree. Form your own way. That's a big reason why this site exists else i'd just be posting game reviews on Facebook. Amen! Enjoy things when you can, move on when you can’t. The idea of things being “objectively bad” seems rampant these days which I cannot get behind. I may have to edit my review of this game, now that I've spent more time with it. This is a good game, perhaps much better than I originally thought. It's not just a Jurassic Park/World simulator, it's a strategy game! It's also challenging. There's so much to do and plenty of things take a lot of time to do (like analyzing fossils for DNA and completing a genome). I actually do wish the game was a bit easier, but there's no difficulty setting. The easiest it gets is when you unlock Isla Nublar, which is the game's "creative mode." Here, you don't have to worry about money and you can turn off storms and make it so dinos won't try to break out of their pens. If only I had those options for the other islands! I feel like this game is pretty much worth full price, even though it's definitely not cheap. In a way I want to pull myself away and let go of the various goals in the game. I've unlocked all the islands, but I keep wanting to play it, there's still more to do. LOL Yeah that pretty much covers it. I wouldn’t call myself a die-hard Sims fan, but I have played some of the games in the series, starting with the first one. I’ve also played The Sims 3, as it was given away for free on Origin. However, there was a recent sale and I was able to buy The Sims 4 for just $10. I thought that was a great deal, so I got it. Unfortunately, I was pretty blown away with how many expansions there are for the game and there doesn’t seem to be an all-in-one version, which I think would be cool, although probably a bit expensive. I figured if I liked the game enough, I could buy expansions whenever I wanted or catch them on sale. That said, I didn’t buy any special version of the game, there are some that come with an expansion, but I decided to just get the base game. 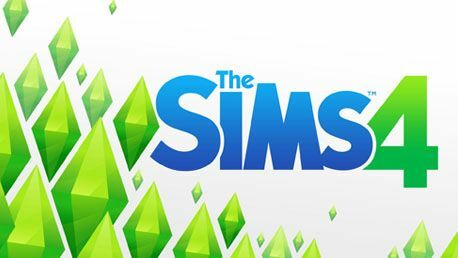 If you’re familiar with The Sims or have ever played one in the series, you pretty much know all there is to know about it, with some differences. However, if you don’t know, The Sims is a simulation game. You control people in a household. You move them into a furnished or unfurnished house pre-made or built by yourself. The Sims (the people in the game) have their own needs and desires. They can take care of many of these things alone without your direction, but you can still command them to do other things. Getting a job is not something they will do on their own, so you’ll have to pick one for them, if you want them to be employed. There are a good variety of jobs you can choose from, each suited to different kinds of sims. For instance, creative geared sims may find a job in the music industry. You could also have a writer, who can write and sell books on their own, a cook, a gardener, etc. When you start the game, you can create your own sims. You can create a household of one or more, if you wish. There are a lot of customization options! You can customize how your sims look and most definitely create unique looking sims. They look good though, there’s a lot of detail in them. There are also a variety of wardrobes you can customize, such as their informal and formal wear. Along with looks, you will be able to customize their personalities. In The Sims 4, you can select their aspirations from a decent list that even breaks aspirations down into more specific aspirations. For instance, creative sims could be creative at art, music, or comedy. Once you’ve created your sims, you can have them move into a house. There are a couple of neighborhoods to choose from, each unique in their own ways. The neighborhoods pretty much contain the same social buildings such as a library. Different families live in them, too. Once you’ve decided on the neighborhood, you can choose which house or lot to move them into. Here you can have them move into one that’s already built and furnished or unfurnished or you could build your own. You’ll start out with some simoleons, the game’s currency, however there is a cheat you can use to give yourself infinite simoleons and thus plenty of money to be as creative as you want. The game doesn’t punish you for using cheats. Once you’ve moved in and furnished your house (if need be), you can then start managing your sims. They have a variety of needs such as hunger, energy, bladder, social, fun, and hygiene. In this version, you can actually click on these needs and set them so that the sim will take care of it own their own. One of the first things you’ll want to do is get the sims a job, but you can always switch jobs, change careers, or just be unemployed if you wish. There are other ways to make money without having a job. For instance, writers can write their own books and sell them to a publisher. This ends up generating a lot of income, especially with a high writing skill. You can practice skills by doing them or reading a skill book. So, a programmer could level up their programming skill by practicing programming on a computer. Since I’ve played The Sims before, I noticed a few differences, although it’s been a while, so I probably didn’t fully notice all of them. The camera was one of the first things I noticed was different. I had to Google how to control the camera, as it is different from The Sims 3, however you can enable an option to use the same camera settings from The Sims 3. Another thing I noticed was the lack of an alarm clock. Previously, you needed an alarm clock to wake up a sim in time for work, otherwise they’d miss it. This time, it seems, you can wake them up manually on time. A notification will tell you, for instance, that your sim starts work “in one hour.” So, you have plenty of time to tell them to get up and take care of whatever needs they have. They will automatically go to work on time, so long as you don’t have them focused on something else. There is, what I guess you’d call an activity bar, where you can cue up various activities for your sim to do. They mostly do them one by one, but there is actually some multi-tasking they can do, like eat and watch TV. It’s easy to cancel an activity, just by clicking on it in the bar. I think emotions are new to this version of the game. Sims can be happy, sad, uncomfortable, focused, flirty, and a lot more. Certain activities or events will trigger different emotions. For instance, sleeping in a cheap bed will cause the sim to be uncomfortable. There are also a variety of items you can put in rooms that will change a sims mood, which is handy. Another interesting, new addition is the smart phone. Sims no longer need telephones as they all have smartphones. They can use them to call another sim, travel, or just browse the web. An employed sim will have a daily activity (such as “practice programming”) and other goals in order to gain a promotion. One of these goals could be to reach a certain skill level (such as reach level 7 programming skill). Some sims will also want to go to work with a certain mood, like “focused.” Promotions can change the job schedule and they definitely increase income. You can change the speed in which things happen with your sim. For instance, you can make time go by faster while they’re sleeping, but this is something the game actually does automatically. This also happens when they’re at work. So, you don’t necessarily have to wait around forever for them to finish completing an activity. Some activities (like leveling up skills) will also show you a progress bar. Usually for skills, you’ll want to pay attention to the meter above their head. However, other activities, like hacking, will have an outline of the activity in the activity bar that shows the progress being made for that activity. Other than needs, your sim will have up to three different desires, which depends on their mood or their aspirations. This could be something like “chat with” another sim or “buy an instrument.” If you have your sim complete these activities, they earn another kind of currency which can be used in the aspirations menu to buy traits or potions. For instance, you can purchase a potion to make your sim younger. It’s a fun, calm, easy-going, and interesting game. I do believe that the latest versions (The Sims 4) is definitely an evolution to the series, as the game has progressed during development. If this sounds like something you’re interested in, you should check it out. Perhaps catch it on sale, buy it a full price, or catch The Sims 3 if it’s ever on the “on the house” part of Origin (the EA standalone game launcher). I found out about Far Cry Primal from one of my favorite YouTubers, Sl1pg8r. He had early access to the game and was able to show it off before it was released. I had never played a Far Cry game, so I knew nothing about the series. I only knew what I saw in those videos Sl1pg8r posted. It looked interesting enough, so I added it to my wish list (on various sites). I ended up buying it recently at a good discount. I recently finished it, so it’s time to write about it! The game is called Far Cry Primal for a reason, it takes place in 10,000 B.C.E., so you’re not going to have access to modern technology. You do still have a variety of primal weaponry, such as bows (and arrows), spears, clubs, and “bombs.” Although this may sound like a short list, it gets a little longer considering that there are variations of each weapon. For instance, later you can unlock the long bow and also the ability to use two arrows at once, which is definitely very effective against enemies. Also, there’s a one-handed club and a two-handed club. There are also stone shards you can throw at enemies, like throwing knives. You can also toss a rock into a group of enemies to distract them, aiding you in maintaining stealth. Not all missions have a stealth bonus and I don’t seem to recall any actually requiring stealth. However, in some missions if you’re not stealthy then the people you are trying to rescue will get killed. This is an open-world game, but you won’t be able to explore every area right away. In order to get to some areas, you’re going to need to unlock the grappling hook, which is done while finding a tribesman. There are some humorous cut-scenes, especially with the one who unlocks this skill. Basically the point of the game is to reunite your tribe and defeat the other two tribes. One tribe is a group of cannibals and the other are pyromaniacs. You’ll have a small tribal gathering, which you can expand by finding new people. They will give you their own missions, which will unlock skills. There’s a small handful of them, but they each have their own role within the tribe. My favorite is the shaman who helps you become the beast master. One of the features of the game I found most intriguing was that you could tame “beasts” and use an owl as a scout. There are a variety of animals you can tame and each one has their own unique abilities and stats (such as speed, strength, and stealth). Even with a variety of animals, most have their own varieties as well, especially “rare” versions. For instance, there’s a brown bear and a cave bear. Other than bears you can also tame dholes, sabertooths, and wolves. As you advance in the story, you’ll unlock different animals that can be tamed. Eventually, you’ll even be able to tame some that are “hard” (or “very hard”) hunting missions. These animals are the best of the bunch. Taming animals is very helpful, because throughout the entire game you are alone. You can, however, have one tamed beast with you at a time, which removes that whole fighting alone thing. Your beast can scare away other animals and even attack enemies or other animals, which is why they’re so important. You can also ride some of them, once you’ve unlocked that skill. This can help you move through the map much more quickly and safely. You’ll also have access to an owl that you can use to scout ahead. However, as you progress and unlock new skills, the owl can do much more for you. It can eventually attack and kill enemies (with one hit). It can also drop “bombs,” which there are a few in the game such as the ball of bees, my favorite, or the fire bomb. The owl is actually extremely useful if you’re trying for stealth. Some missions give bonus experience points for stealth and thus the owl is the way to go. It does have a cool down, so you can’t spam it too fast, but if you’re patient, you can still take out a small group of enemies. You can also use the owl to send your tamed beast in to kill your enemies, this still seems to give you the stealth bonus, as long as you’re not seen. Not all animals in the game can be tamed, like birds or badgers, but you can still use mammoths, even though you can’t tame them. Once you reach a certain point of the game, you’ll be able to ride wild mammoths, but I think it’s only the young ones. There are still a variety of wild animals that are dangerous and can’t be tamed such as crocodiles, woolly rhinos, elk, and hawks. The hawks will attack you and it’s hard to attack them, but I did once see a hawk pick up a deer and fly away with it, it was amazing! There are a variety of optional collectibles you can find. There are four types, I think, and I collected all of three of them. However, even by collecting all of them, you still won’t spend a huge amount of time in the game. My total game play was probably about 40 hours, maybe less. One thing I really liked about the game was how solid it was as a program. The game never crashed nor did its performance ever drag. It is definitely a solid piece of work. It seems there were only two or three patches done to it. I once did run into an issue where I got stuck in the world, or in between things, but I was able to resolve it by fast traveling to another location. Otherwise, I didn’t run into any bugs and I think that says a lot about the Ubisoft. Free Mobile Version Now Available! In case you miss the slight mention of this in my Extinction post,.....Ark is now available on iOS and Apple mobile devices for free! Feel free to give it a try and let me know what you think of it. I imagine there's a Local (single player) mode, like the PC has, otherwise you'll be playing with random people. My phone is incompatible so let me know what you think! It obviously doesn't look as great as it does on PC, but at least this gives you an opportunity to experience the game for free! Collected rocks and seashells. Then I punched a tree to get wood to make a pick axe. I'll let you know what happens after that. WHEN DO I GET DINOSAUR TO RIDE? AFTER 15 MINUTES OF PUNCHING DINOSAURS? I CAN DO THAT! Cool game though, the graphics are pretty good on my iPhone too. They have a local game option that I selected! Good to know that fighting Dinosaurs doesn't let them become something you can ride! How long into the game does it take before you can ride one? You can punch them and knock them out and tame them, it's just not too easy. You can ride one as soon as you can craft a saddle for one.